As a senior in high school, trying to figure my future out, I was no stranger to stress. Surrounding adults were often curious to know what I was going to do with my life. Quite frequently I would force a smile and respond as coolly as possible to their inquisitions with an “I don’t know”. Discussing your future can be exciting when you have it all figured out but it is certainly overwhelming when you don’t. The lack of direction in my future was depressing. I cried often in frustration and it was horribly draining. In my final year of high school I just began filling out college applications because that’s what everyone else was doing. Once I finally paused among the chaos and stress of the hoards of applications and scholarship essays, God spoke. He told me to stop my college application process and I realized that I hadn’t been seeking Him in my endeavors of future planning. I saw that I was just following the crowd and wasn’t bothering to ask my Creator what His plans were for me. I needed to stop and take a minute to consider the passions that God had placed in my heart and where He wanted to take me with them. It took a serious push to give me the courage to pursue my passions. My parents basically sat me down and had an intervention. They recognized the lack of fire in my eyes and the unrest in my spirit and wanted better for me. They saw me aligning my steps to coincide with what’s acceptable to society. Thank God they stopped me! I needed their encouragement to be brave enough to step out, regardless of societal norms or other’s approval. I was creating a false security in a diploma when I serve a God who is not limited by a piece of paper or earthly credentials. I completely stopped my college application process and began to focus all my attention on what God wanted me to do next. After I finally released my control to God, He began to uncover and nurture a strong facet of creativity in me. I learned more and more about myself and unleashed my strong pull toward the beauty industry. My stress level decreased dramatically and I found joy in discovering what I am passionate about. Though I was on the right track, I still encountered difficulty. I found that as I shared my plans, some would criticize my unconventional journey beyond high school. I listened to many speeches about why my change in plans was foolish. I know that every piece of advice I received was given in love but still it was not helpful. I had to decide to be brave enough to pursue my passions despite the opposition or disapproval of others. I also had to place value on the passions of my heart regardless of what anyone else thought. My draw toward beauty and fashion is valuable and God can and already has used it for His kingdom! Even though it was scary and I needed a bit of a push, I jumped! It was so worth it! I was mindlessly following what everyone else said I should do but I found so much more joy in waiting for my Heavenly Father to reveal what He specially crafted me to do. He continues to uncover bit by bit where He wants me to go next and when I become doubtful or impatient I meditate on His truths. God is Sovereign, He is Good, and He has plans to prosper me and give me hope and a future! I don’t know all that God has in store for me, and I certainly don’t have it all figured out, but I have found a much sweeter way of living by trusting God to guide me to His perfect plan. 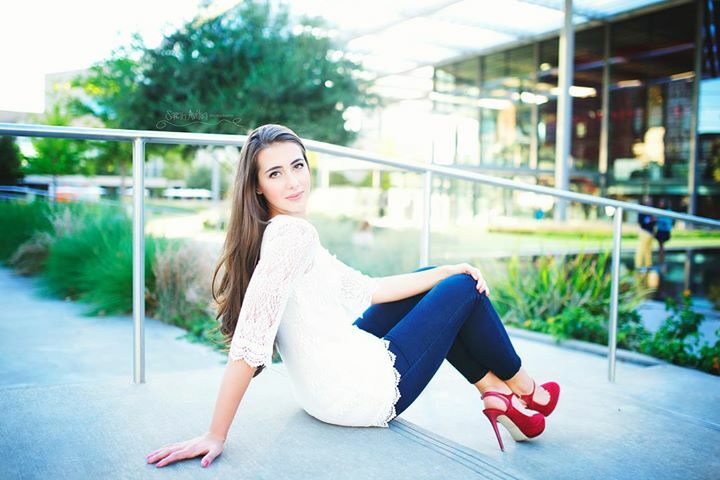 Ashley Kelsey is a Keller High School graduate class of 2014. God told her not to go right into college so she has been pursuing her passions outside of school. She recently has started her own business of closet organizing and styling and when she isn't doing that, she's helping nanny for a precious family. Ashley loves connecting with women and helping them to see their own unique beauty. She thrives on helping others see themselves the way God sees them. Bravo, Ashley! You are so wise! He will lead your path straight! !